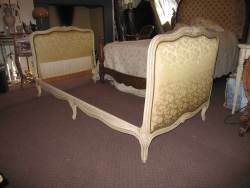 Louis XV style double bedstead. 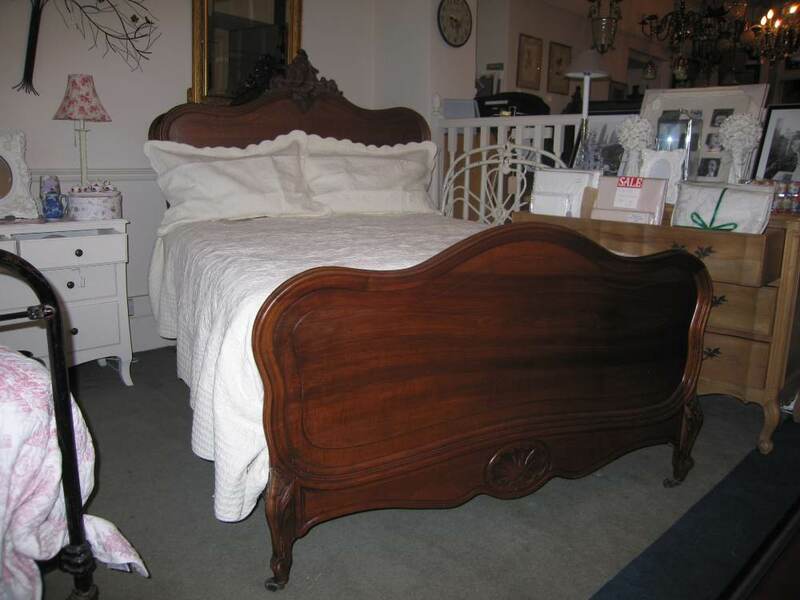 Louis XV style bedstead in Walnut. 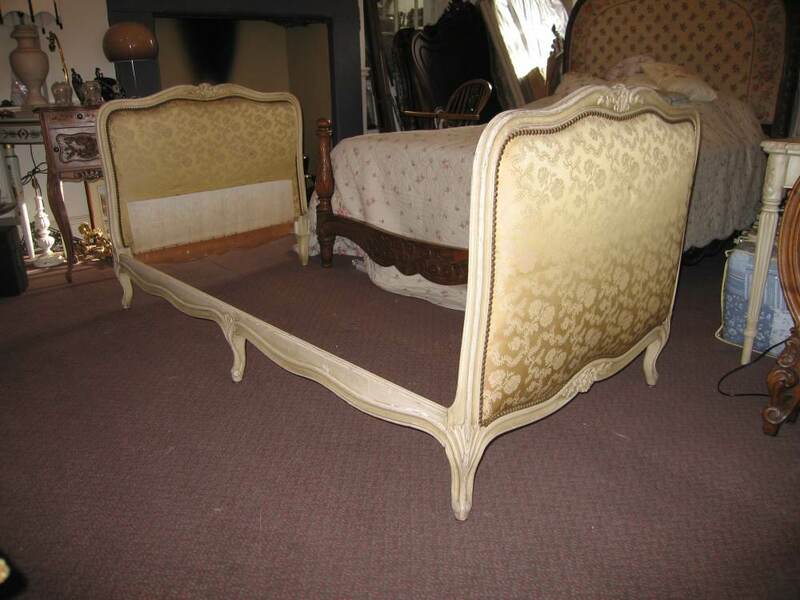 This bed is circa 1900, it is a standard double with good moulded detail and a nice crisp carved detail on the foot. The head also has a good crisp carving in the centre. Both head and foot have a subtle shoulder line. 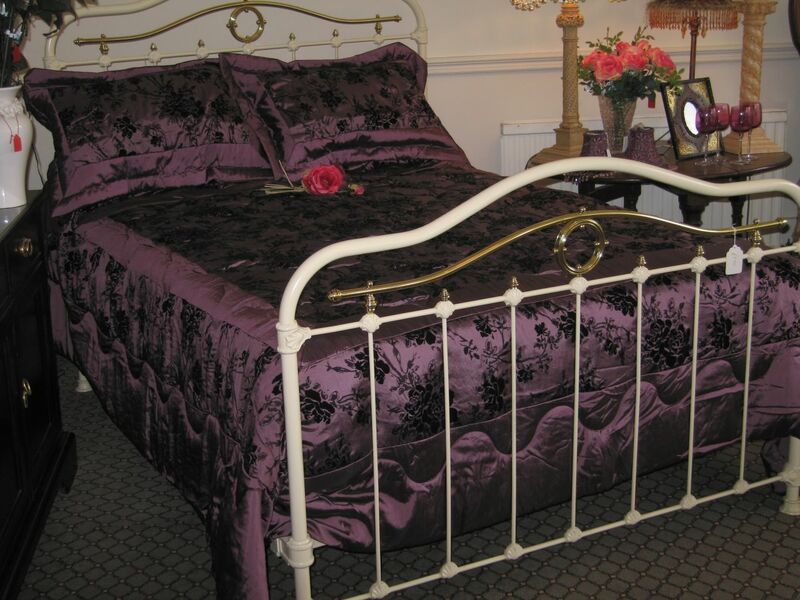 This bed is suitable for a 4' 6" mattress and base set which we are able to supply. 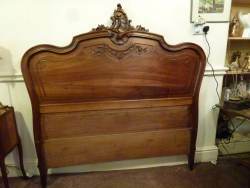 This French Walnut Louis XV Style headboard is for a double bed, really is lovely. 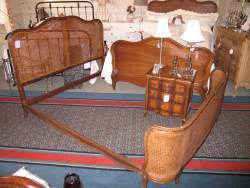 A cane bed in excellent condition. This bed will take a standard kingsize shaped mattress and base set. Circa 1910. This bed is in as found condition. Rolled Edge. 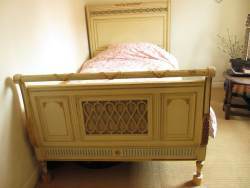 Can be re-upholstered to customer`s preference. 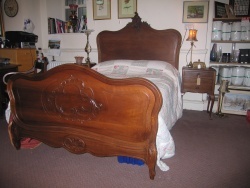 A good quality original 5' 00" King size bedstead. Featuring quarter veneered Rosewood, with applied mouldings and carvings on the shoulders. 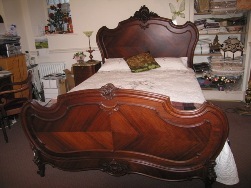 Louis XV style bedstead in Walnut. This bed is circa 1900 It is a standard double with good moulded detail and a simple panel foot. The head also has a good crisp carving in the centre. Both head and foot have a subtle shoulder line. 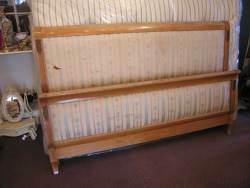 This bed is suitable for a 4' 6" mattress and base set which we are able to supply. 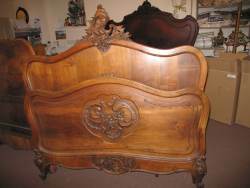 Walnut Beautifully carved Double Bedstead. 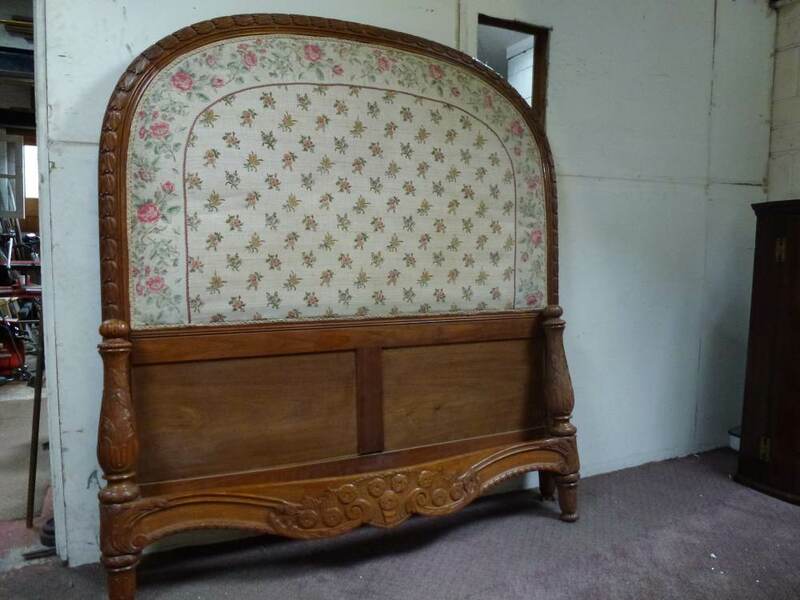 Good detail on this bed. 4`06" Size.In as found condition. 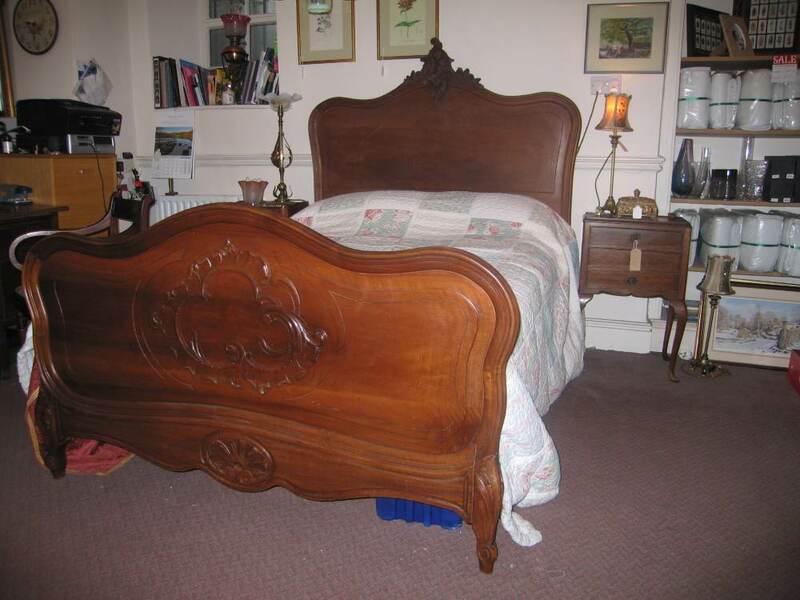 This unusual style French Walnut bed is in as found condition. The upholstery is slightly shabby but could be left. Unusual high head and 2 posts at foot. Bowed, carved cross member to foot end. 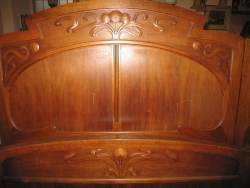 This is a simple French Day bed Circa 1920 with beautiful carved frame. It is in original paint at the moment. 3' 00" wide 6`00" long. 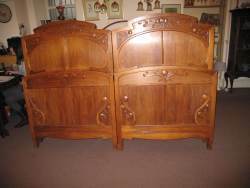 A superb pair of Walnut Art Nouveau Bedsteads.Dating from Circa 1910. These beautiful beds will either take big single mattresses or when put together using metal side rails wlll accommodate a 7` 00" x 6`06" mattress. 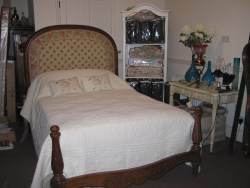 The price displayed is for two single beds. 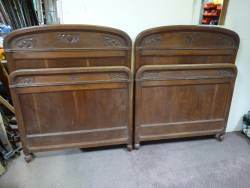 Pair of Oak Single Bedsteads. French Circa 1900 with carved detailing.